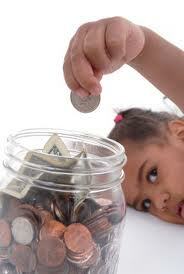 Barrington Lewis: How should we save for our kid's college? A couple of weeks ago, Mysha, my wife, asks me about what would be the best route to pay for our daughter's college expenses. Considering that college tuition has been consistently rising twice the rate of inflation, by the time our kid reaches college age, it might be a real challenge for her to fund her own education...even with scholarships, pell grants, and whatever else she manages to scrap together on her own. She asked me if I thought that getting a 529 plan would be a good idea and/or if we should start now to put money away for her education....considering that we probably would have too much income ourselves for her to qualify for enough money in the form of grants that would put a dent in her tuition. Plus, scholarships today are offering less money and most only cover books or 1/3 of the cost to attend college. So what do we do? What would the average millinoaire next door do? Well, I like 529 plans specifically for the reason that my contributions are probably state tax-free and my investments are able to grow tax free. This allows me to shield some of my income from Uncle Sam - and use the money for my daugther's tuition. Not bad! At the same time, 529 plans are also tied to the stock market - which means that they're at risk when there are downturns or detrimental events in the global market. This is a big deal considering that having a $100K 529 plan could easily lose just about everything you saved for your little one's college tuition. Just this past recession has left individuals with a huge loss in their college tuition and retirement plans. Nevertheless, I'm more in favor of investing in my own company and/or real estate instead of giving money to Wall Street via a 529 plan and hope that they do the right thing by me so that I'll have funds for my daughter's college. I can provide a constant stream of income for my daughter if I'm even moderately successful as an entrepreneur or real estate investor. It's a risky strategy - but so is solely relying on the stock market to fund your college or retirement. Investing my money directly into my own company for growth and expansion between now and when my kid goes to college should provide a good return. Also, buying a few rental properties would also provide some constant flow of income for my daughter while she attends school, so that she doesn't have to worry about how she's going to finance her education. Do I take a risk on myself and finance my daughter's education? Or do I let the bankers on Wall Street put my money at risk? I think I'll rely on myself. Well, I have big dreams for my degree from South University. I intend to obtain employment with the government. The military to be exact. I think that's the first step to saving for our children's college education. I know for many it's only a dream, but maybe it will still be possible. The US economy may not get better. I'm preparing for the worse, that's my suggestion. Barrington, I wish you all the best for you and your family.